The EFI+ database was derived within the EU-project "Improvement and Spatial extension of the European Fish Index (EFI+)". 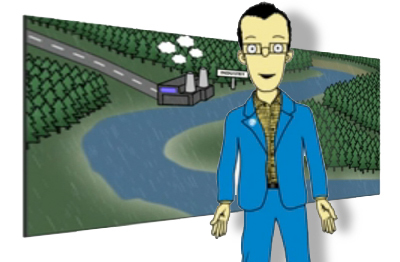 EFI+, an EU FP6 research project from 2007-2009 was designed to gain new knowledge and to further develop and improve new biological assessment methods to meet needs of the Water Framework Directive (WFD). The output of the project was a methodological approach to assess the ecological status of rivers in accordance with the WFD. Therefore the EFI+ project represents a direct and important contribution to the Water Framework Directive in further development and implementation of harmonised fish-based assessment tools and methodology that can be used as a standard method in EU Member States, as well as Candidate countries. The overall objective of EFI+ was to overcome existing limitations of the European Fish Index (EFI) by developing a new, more accurate and pan-European fish index. 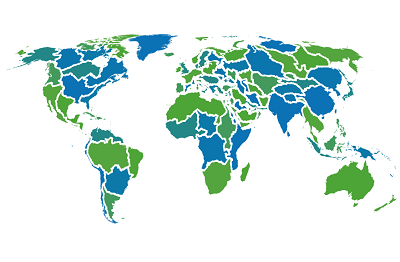 The related database covers 15 European countries and contains 14 221 fish sampling sites. Acknowledgements are going to Florian Pletterbauer who integrated the EFI+ metadata into the Freshwater Biodiversity Data Portal and made data-requests with EFI+ partners about publishing absence/presence data of species. Acknowledge the source of the information by including the following attribution statement: "Contains Environment Agency information of Environment Agency and database rights." 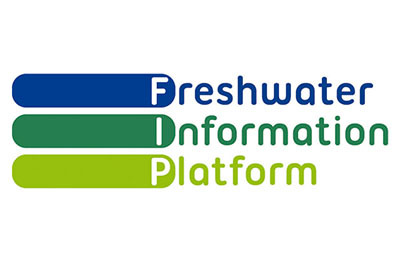 Polish fish data were delivered to the Freshwater Biodiversity Data Portal through a BioFresh contingency fund project compiled by J. Kotusz (dataset "BF_CF8"). Data belongs to the Swedish Agency for Marine and Water Management which did not give any response to the data approval. Schinegger R., Pletterbauer F., Melcher A. & Schmutz S.
Logez, M. & Pont, D.
Development of metrics based on fish body size and species traits to assess European coldwater streams. Ecological Indicators 11(5), 1204-1215. Global warming and potential shift in reference conditions: the case of functional fish-based metrics. Hydrobiologia 704, 417-436. Logez, M., Bady, P. & Pont, D.
Modelling the habitat requirement of riverine fish species at the European scale: sensitivity to temperature and precipitation and associated uncertainty. Ecology of Freshwater Fish 21(2), 266-282. Logez, M., Bady, P., Melcher, A. & Pont, D.
A continental-scale analysis of fish assemblage functional structure in European rivers. Ecography 36(1), 80-91. Segurado, P., Santos, J. M., Pont, D., Melcher, A. H., Jalon, D. G., Hughes, R. M. & Ferreira, M. T.
Estimating species tolerance to human perturbation: Expert judgment versus empirical approaches. Ecological Indicators 11(6), 1623-1635. Schinegger, R., Trautwein, C., Melcher, A. & Schmutz, S.
Multiple human pressures and their spatial patterns in European running waters. Water and Environment Journal 26(2), 261-273. Schinegger, R., Trautwein, C., & Schmutz, S.
Pressure-specific and multiple pressure response of fish assemblages in European running waters. Limnologica 43(5), 348-361. Trautwein, C., Schinegger, R., & Schmutz, S.
Divergent reaction of fish metrics to human pressures in fish assemblage types in Europe. Hydrobiologia 718(1), 207-220. Pletterbauer F., Melcher A.H., Ferreira T., & Schmutz S.
Impact of climate change on the structure of fish assemblages in European rivers. Hydrobiologia, 744, 235-254. IHG/BOKU was lead partner of the EFI+-project. Due to the complicated structure of intellectual property rights (data was not sampled during the project but gathered through national institutions) BOKU performed a data approval call among all former project partners to approve data to be published through the Freshwater Biodiversity Data Portal (BioFresh). In this list of database providers only those are mentioned who approved data for the BioFresh data portal. Froese, R. & Pauly. D. (editors), 2016. FishBase. World Wide Web electronic publication. www.fishbase.org.